Andre Ward, the Son of God, will defend his WBA super middleweight against "King" Arthur Abraham of Germany. The bout will be held at Home Depot Center in Carson, California on May 14, 2011. WBA super middleweight crown for the super six world boxing classic semis. Andre Ward is the best fighter that fought among the best in super middleweight division. 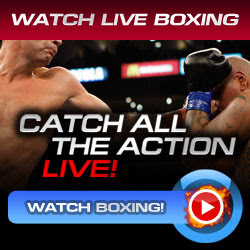 SOG is expected to win this fight to retain his crown and face whoever will win in Froch-Johnson showdown on June 4 at Boardwalk Hall at Atlanta City. But, Froch and Johnson have their bets and fight predictions in the clash of Ward and Abraham showdown tonight. Carl "cobra" Froch bet is Abraham to win the fight. But "King" Arthur should not let the fight go to distance and he need to finish Ward by impressive win via knockout, if not, then Ward has the advantage to win on a points. Glen "road warrior" Johnson feel that Ward will win in the fight. SOG has the power and speed, he'll totally use that techniques, the in and out fight. Johnson expected that the fight will go to the decision, Ward will be winning. If not, then a huge upset will be needed of Arthur Abraham and he needs a impressive knockout victory. Don't miss the fight! It will be live televised of Showtime Sports.